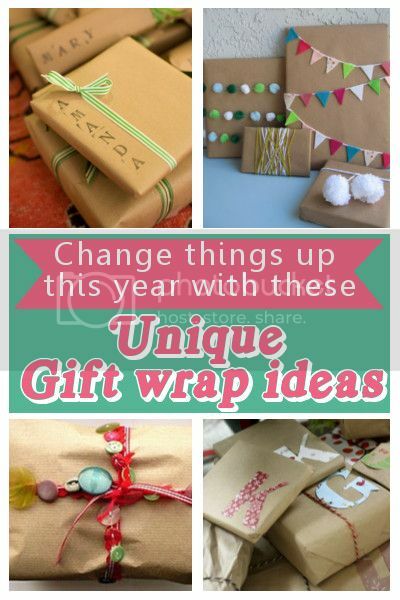 With the holidays fast approaching, I wanted to share a few simple gift wrap ideas. 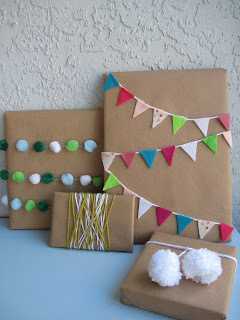 I love the look of simple brown packages with a splash of color. Gift wrapping is one of my favorite things to do, too. I love embellishing packages with fun and interesting things. Your packages are beautiful. Thanks for the ideas.